TORONTO, September 4, 2018 – In tight quarters and competing at high speeds, standardbred drivers utilize strength, agility and quick thinking as they guide their horse through traffic and around difficult turns while chasing that lucrative purse money. And if they don’t hit the board, they don’t get paid. In Challenge Accepted, our athletes look to showcase their athleticism against professionals from other major sporting arenas. 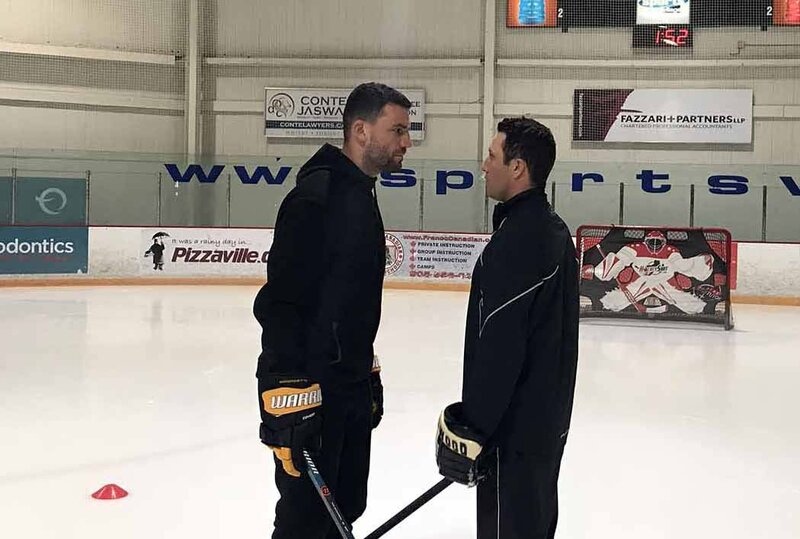 Up next is driver James MacDonald who accepts the challenge of professional hockey player Paul Bissonnette. A resident of Guelph, Ontario, James MacDonald, 32, comes from the notable MacDonald family, as the younger brother to veteran drivers Mark and Anthony. James grew up in Prince Edward Island and got into driving after moving to Ontario to work for his brother Anthony. James became a regular driver on the Woodbine Circuit in 2013, just his fourth full-season of driving. James represented Canada on home soil in the 2017 World Driving Championship and won the prestigious event. Paul Bissonnette, aka ‘BizNasty’ played in the National Hockey League with the Pittsburgh Penguins and Phoenix Coyotes. 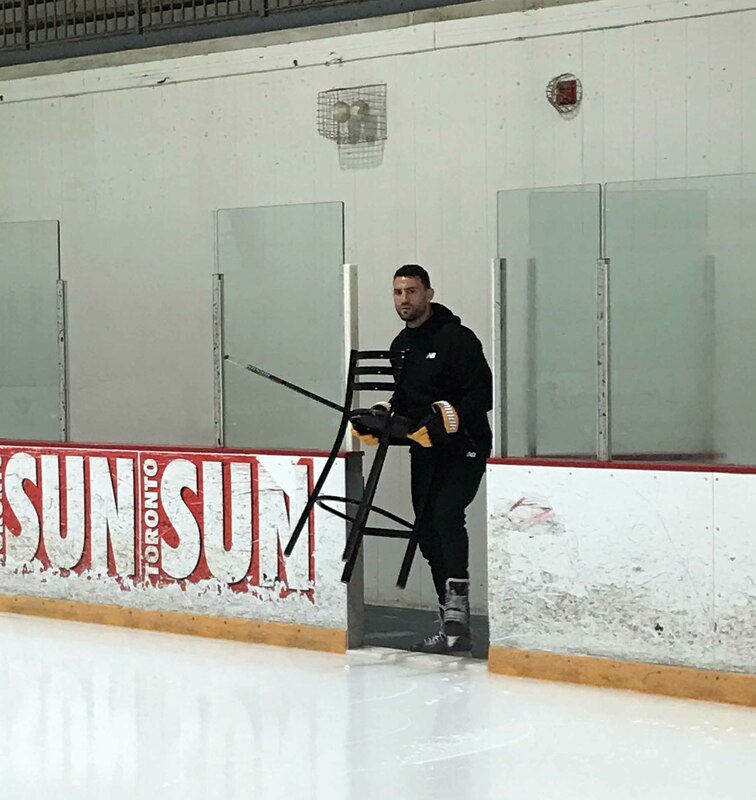 A member of Canada’s Under-18 gold medal winning team, Bissonnette was named the MVP of the Canadian Hockey League’s Top Prospects game and was selected in the fourth round, 121st overall, of the 2003 NHL Entry Draft by the Pittsburgh Penguins. Boasting more than 1-million Twitter followers, Bissonnette is currently the color analyst for Arizona Coyotes radio and a host on the Barstool Sports Hockey Podcast, Spittin’ Chiclets. Let’s see if James can hold his own against the imposing hockey pro, BizNasty! Come watch Canada’s top drivers in action on Monday, Tuesday, Thursday, Friday and Saturday nights at Woodbine Mohawk Park! First post time is 7:10 p.m. Visit Woodbine.com for details. This entry was posted in Mohawk Insider and tagged Challenge Accepted, Horse Racing, James MacDonald, Paul Bissonnette, Woodbine Mohawk Park. Bookmark the permalink.